Cloud backups are becoming the most popular way for businesses to protect themselves, offering a cheaper, faster and safer solution to regular backups. If you’re looking for a new way to protect your valuable data and ensure it is secure and guarded, 365Solutions offers a specialist Cloud backup services, designed to meet the needs of all businesses, no matter how large or small. Cloud backups are, in essence, the combination of backups and cloud technology. The latter refers to sharing and storing data on a remote network. In other words, while you can access it from your own network (I.e., through logging in), the services are not stored locally. They are stored within a remote server, or “the Cloud” in other words. Backups refer to making copies of your existing data. These are used as extra security measures for many companies. So, in essence, Cloud backups refer to the act of storing additional copies of data on remote servers.  What Are The Advantages of Managed Cloud Backups? Data backups have long been an essential part of many businesses. There are many forms of data – whether it’s your employees’ information, financial records or customer details – that are too valuable to lose. A backup creates a second (or even more) copy of this data, stored in a different location. This is so that, if something happens to the original copy – or the storage device used – such data isn’t lost. In years gone by, many companies would keep physical records alongside their digital counterparts, for example. Most of the time, you do not need to access the backups but, when you do, it is a huge relief to know a recent backup was made and is readily available. However, today businesses realise that hand-copying the vast amounts of information required to keep a successful company running is often too much. Digital backup services can be used to create regular backups. This automation helps to take out much of the physical work involved in creating backups, freeing staff to focus on more vital day to day tasks. Likewise, digital backups also reduce the amount of space needed. What would require vast amounts of files, folders and cabinets can now be stored on a singular service. Furthermore, this is also easier to access and, combined with a computer network, can help staff (while still restricting which members can access what) to obtain the data they need. Why Use The Cloud to Support Your Business Needs? Keeping your backups truly remote. When it comes to backups, the biggest advantage is arguable that it lets your backups be truly remote. Consider the following question. If you have two separate servers and copy your data onto each, is the secondary server a safe backup of the first? In short, if both servers are located on the same premises, no. Any damage to the physical structure, such as fire hazards, could destroy both copies simultaneously, leaving you with nothing. Freedom from hardware restraints. As mentioned earlier, a server can physically store more information more easily than cabinets and traditional filing. However, with the Cloud, the same logic also applies. By using remote servers, you no longer require additional hardware on your own site. No maintenance or upkeep costs. An additional knock-on effect of using another company’s servers is that, because they are remote servers, you are not responsible for maintaining the hardware. Cloud providers do this as part of their service, so you don’t need to invest in additional IT support or hardware costs. This also makes Cloud solutions effortlessly scalable – if you ever need more space, you can simply upgrade your package, rather than spending days or weeks trying to expand your own private servers. Access from anywhere. What happens if your main data is corrupted or otherwise inaccessible while you’re away from the office? With Cloud technology, you can access your backup from anywhere. You don’t need to physically rush to your office – you can solve such crises from anywhere in the world! To get the most from Cloud backups, you need a dedicated and experienced partner that can create the exact solutions you need. 365Solutions specialises in Cloud technology and we have vast amounts of experience creating successful solutions for various businesses, from retail and administration to agriculture and manufacturing. We are also an approved Microsoft Managed Cloud Provider – trusted by leading companies for our in-depth advice and expertise. Recommend the best solution for you. We know our way around the best Cloud services, including the likes of Azure and EMS. We can also recommend the best Cloud providers to ensure you get the most efficient solution, in terms of both computing power and cost. Compatibility. We understand that existing businesses often have established means for tracking and maintaining their data. We’ve found that the key to a smooth and successful Cloud adoption is to create a solution that fully integrates and works with your existing set-up. We’re familiar with Office 365 and a range of other services, which ensures we can create the right approach for you. Create a roadmap. Not familiar with the Cloud at all? We’ll help you get started and ensure you smoothly adopt the Cloud as efficiently as possible. So, if you’re looking for an effective safeguard for your valuable information, there’s no better approach than to utilise Cloud backups. Contact 365Solutions to get started!